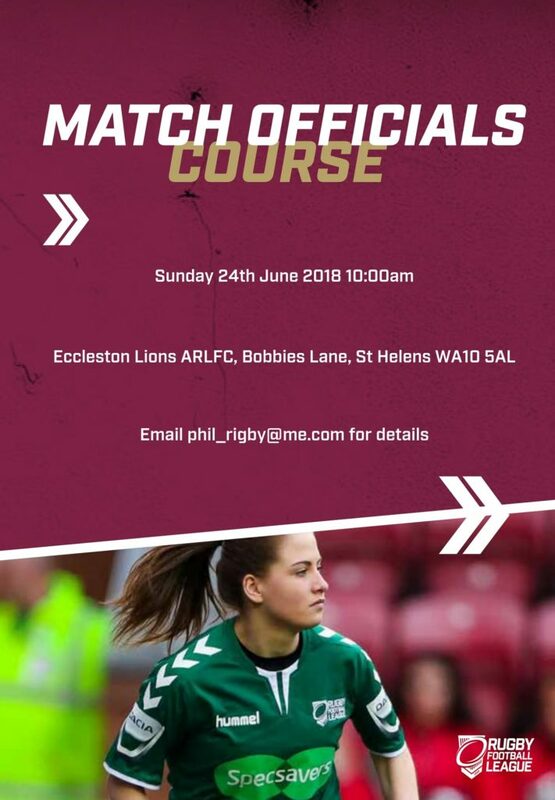 St Helens Rugby League Referees Society will be running an RFL Match Officials course on Sunday 24th June 2018. The course will be held at Eccleston Lions ARLFC, who have kindly offered us the use of their facilities at Bobbies Lane. Anyone can become a Rugby League Match Official so people from all backgrounds, whether you have been involved in Rugby League before or not, are welcome to attend. The course will start at 10 am at Bobbies Lane, St Helens, WA10 5AL. Follow in Associate Member Tara Jones’ footsteps – email Phil_Rigby@me.com to register for the upcoming course.